Are you looking for an active senior community? Vienna Square is the answer. There are plenty of senior citizen communities to choose from, so why Vienna Square? From the living options to the amenities to the local area, there are plenty of things that make Vienna Square a great place to spend your retirement. Many seniors are accustomed to living in their own homes and do not want to give that up with retirement. 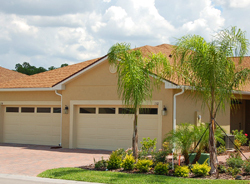 At Vienna Square there are two different home models: single-story homes and maintenance-free villas. Each model has options for different floor plans, so whether you prefer a smaller space or a larger one, to do more of your home maintenance or less, you can choose which home best suits your needs. 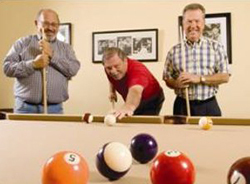 By joining a community like Vienna Square, you can stay active without having to go far. Enjoy a game of tennis or a swim within the community. If a trip to the fitness center is more your thing, then a trip to the clubhouse will meet your needs. Also at the clubhouse is a billiards room and a ballroom! At Vienna Square there are several options for those who want to to stay active, and with a schedule of activities, there is no reason to be bored or inactive. 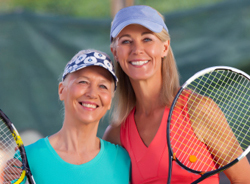 One of the keys to remaining active as a senior is to live in an active senior community. If there is plenty of activity all around you, then it is easy to dive in and enjoy doing all of the fun things you did not have time for while you were working! 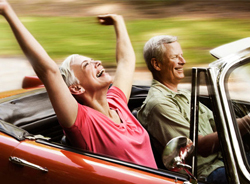 Senior Citizen Communities Love Florida! One of the best things about Florida retirement communities is the fact that there is so much to do in Florida! Take a trip north and see Saint Augustine, or visit either coast for beautiful beaches. If you enjoy theme parks or want to entertain friends and family, there are several parks nearby. There are also plenty of lakes in the area for fishing, and beautiful nature parks and trails for biking or taking a walk. Do not forget the golf courses! Florida has plenty of those in the area as well. There is a reason that Florida is a popular retirement spot, and you can enjoy all areas of the state when you live in the conveniently located Vienna Square! Why wouldn’t you want to stay at a great place like Vienna Square? With great options for homes, plenty of choices to help you stay active, and the beauty of Florida just waiting for you to explore, there are lots of reasons to choose this as your retirement community. It’s not just any active senior community – it’s Vienna Square!